Research Methods in Criminal Justice and Criminology connects key concepts to real field research and practices using contemporary examples and recurring case studies that demonstrate how concepts relate to your life. 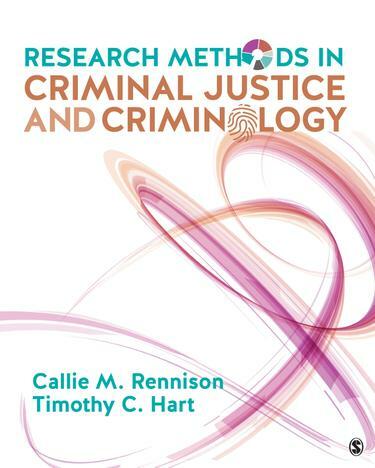 Authors Callie M. Rennison and Timothy C. Hart introduce practical research strategies used in criminal justice to show you how a research question can become a policy that changes or influences criminal justice practices. The book’s student-driven approach addresses both the why and the how as it covers the research process and focuses on the practical application of data collection and analysis. By demonstrating the variety of ways research can be used and reinforcing the need to discern quality research, the book prepares you to become a critical consumer and ethical producer of research.